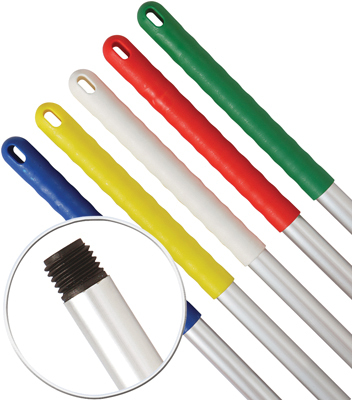 ABBEY Alloy Mop Handle - 137cm/54"
These screw fit handles are available in two sizes and five colours. Store Home > ABBEY Alloy Mop Handle - 137cm/54"
Most of our handles are colour coded and designed to give various benefits to their specific task. Everything from budget to the more robust Alloy Hygiene, whichever you choose, all our handles rise to the challenge of your specific cleaning task.